/ Welcome to our first newsletter! Northern Expressions is fully committed to promoting Canadian art with our policy to only procure and merchandize aboriginal art made in Canada. 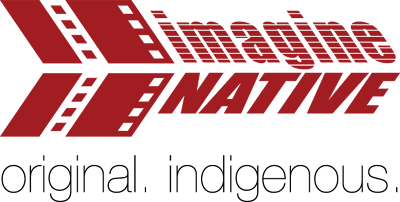 Our promise is to deliver outstanding service that allows our customers to experience true Canadian aboriginal inspiration! 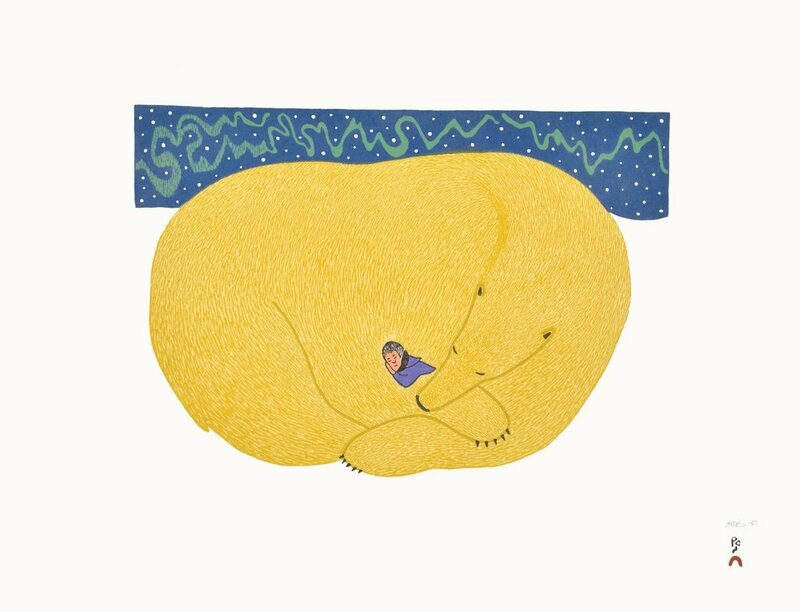 Since 1959, the Cape Dorset Annual Print Collection has showcased the best and brightest Inuit art from West Baffin Island. Each collection shows a snapshot of Inuit art history, cultural heritage and contemporary artistic vision. This year's collection consists of 30 images, and features the last works of the late Tim Pitsiulak. Other well renowned, and up and coming artists include: Quvianaqtuk Pudlat, Saimaiyu Akesuk, Kakulu Saggiaktok, Qavavau Manumie, Annie Parr, Nicotye Samayualie, Ooloosie Saila, Nuna Parr, Pitaloosie Saila, Cee Pootoogook, Malaija Pootoogook, Shuvinai Ashoona, Simeonie Teevee and Ningiukulu Teevee. The official opening of the 2017 Cape Dorset Annual Print Collection is scheduled for October 21, 2017. Northern Expressions will have the collection available on the launch date at our website and store locations. 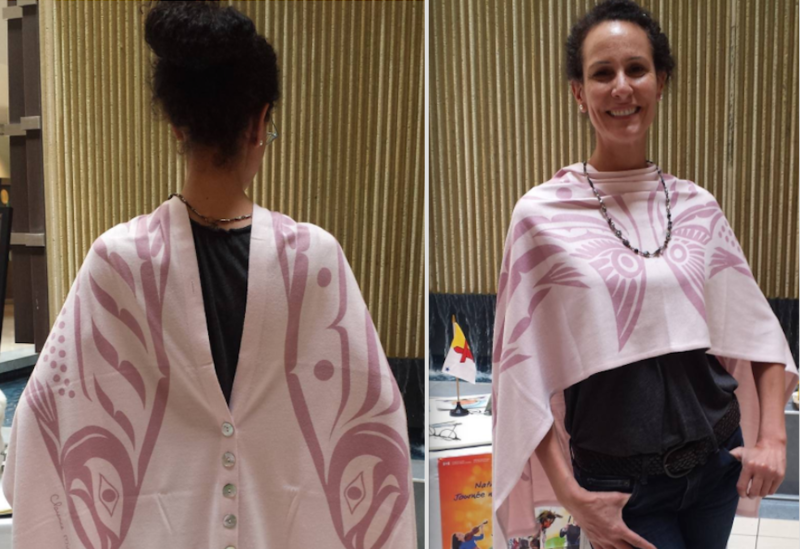 The Staff's fall favourite combines beautiful Indigenous west coast art with a cozy fashion wrap! Canadian designer Chloë Angus, works with Haida graphic artists who use traditional Haida artistic style to bring to life Chloë's Spirit Wraps. Pairing the classic button wrap with original First Nations artwork in a unique and fashionable way. Each wrap includes the artists’ signature, and are available in many colours and graphics. A wonderful gift idea or addition to any wardrobe, each Spirit Wrap is a wearable piece of original West Coast art! Celebrating its 18th year, the imagineNATIVE Film + Media Arts Festival is the global hub for Indigenous-made media arts. Each year, imagineNATIVE presents a selection of film, video, audio, digital media, and exhibitions created by Indigenous artists from Canada and around the world, as well as a series of panels and workshops. This festival is the largest event of its kind in the world, and is a leader in supporting and developing Indigenous media arts and in building relationships between communities. Running from October 18-22, 2017 throughout Toronto, imagineNATIVE recently announced this year's lineup of over 100 feature films, documentaries, shorts, and music videos created by Indigenous filmmakers with almost three quarters of the films (72%) made by Indigenous female directors! More events will be announced leading up to the festival's opening in October, so start making plans to see some great films!